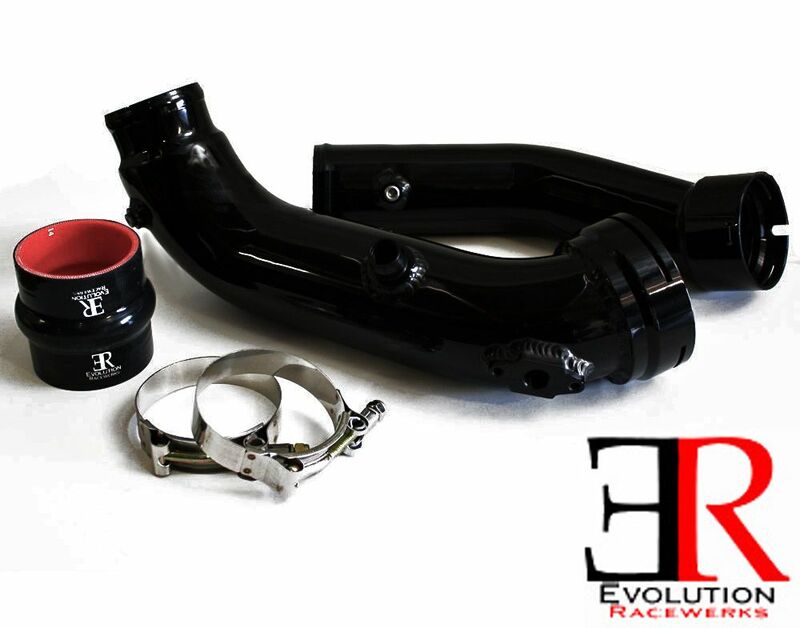 The stock chargepipes will break, even under stock boost pressure, so upgrade your stock chargepipes with Evolution Racewerks Chargepipes on your BMW maximum performance and durability! Visit ModBargains.com to get great deals on the parts you want! Contact us at 714-582-3330 to order today! The OEM diverter valve equipped on the N55 was never designed to hold high boost. 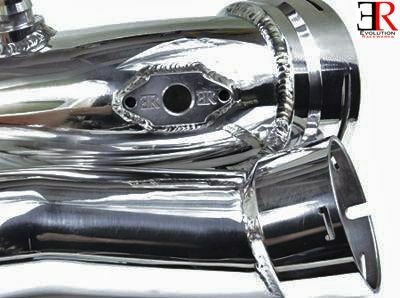 Once the car is tuned the stock diverter pipe will begin to leak, losing your boost and your horsepower. 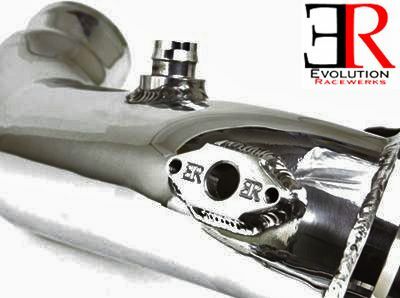 Evolution Racewerks has addressed this problem with their new N55 diverter pipe. 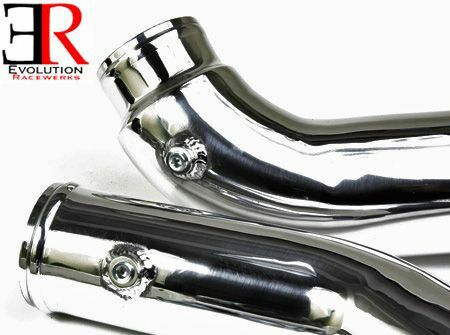 Evolution Racewerks has finally released their N55 diverter pipe! ModBargains is proud to be one of the first to offer it to our customers. The Diverter Valve Upgrade Pipe is available in the same 2 finish. It is available in a mirror polish finish. It is also available in our Type III Hard Black Anodizing for the guys that want the stealthy, factory look. An added benefit of the Type III Hard Black Anodizing is that it hardens the aluminum piping and makes it more durable against accidental damage (like dropping the pipe). 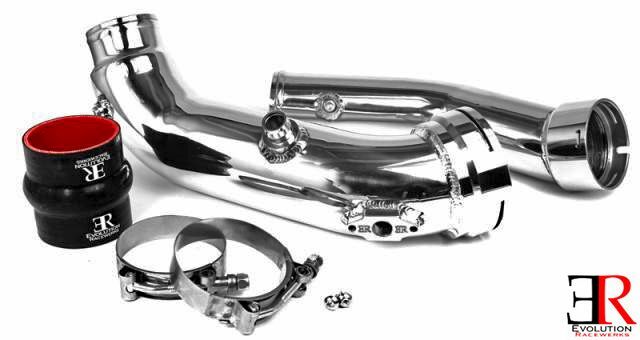 Evolution Racewerks has added 1/8" NPT threaded bung (for methanol or nos injectors) to their charge pipes.This allows for quick and easy installation of methanol/nitrous injectors that are used in methanol injection systems and nitrous systems. Each charge pipe comes with 2 meth bungs. Each 1/8" NPT bung will come with a plug so that you can run with or without the methanol injector. Also, the 1/8" NPT bung can be used as a boost source to connect your boost gauge or other devices to. Airflow in a pipe tends to travel in the outer edges of the pipe. 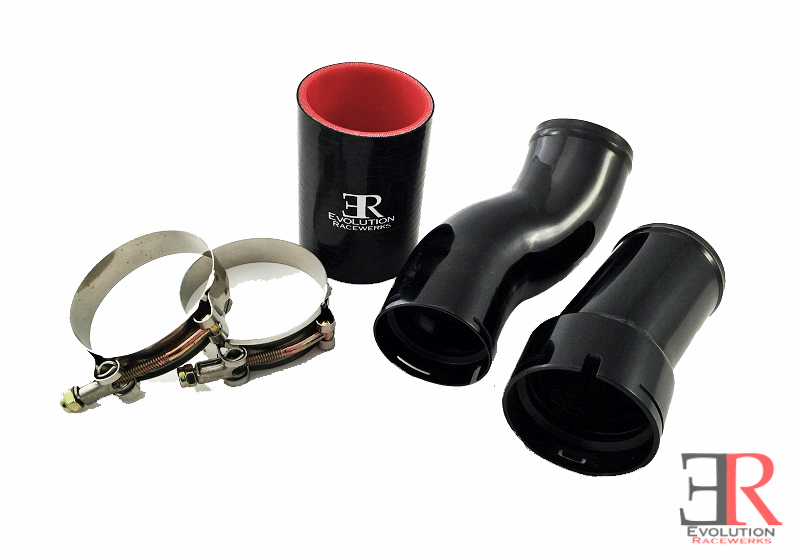 Hard piping like Evolution Racewerks' TIC charge pipe keeps the inner diameter of the constant and prevents it from ballooning or collapsing. The results? Better throttle response and decreased turbo lag! 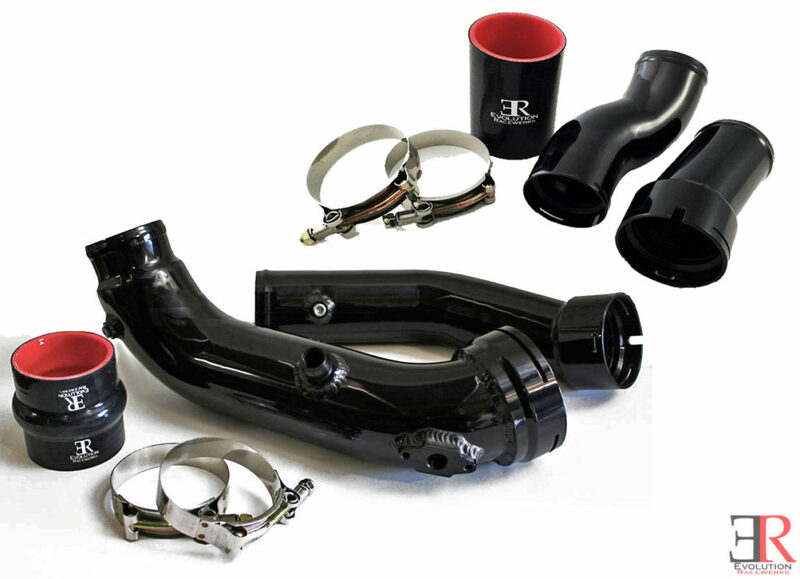 Pair it with ER's N55 Charge Pipes and have full metal hard piping in your entire intercooler system!